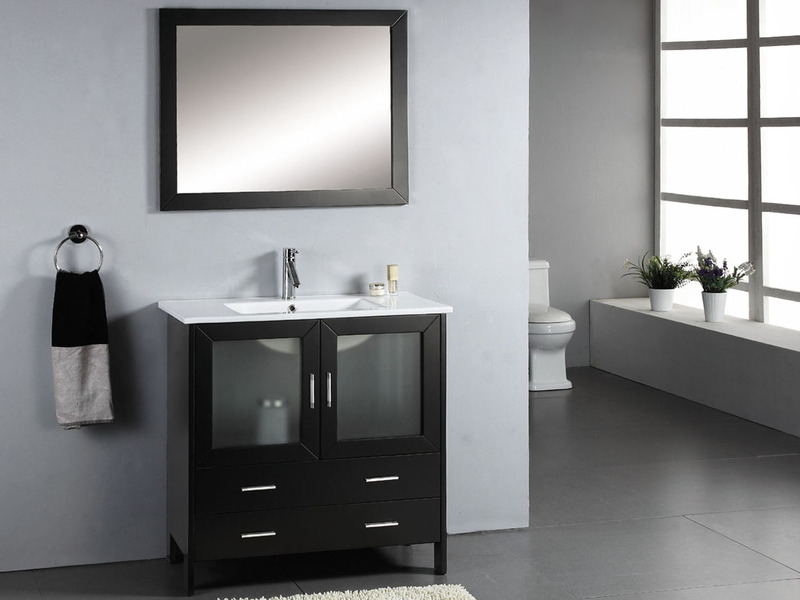 The 35.5" Felice Single Vanity synthesizes modern, clean-lined simplicity and timeless warmth. Vanity is made from solid Rubberwood a hardwood from the maple family of woods. Made with solid wood, moisture resistant wood, this vanity will last until modern turns into retro. 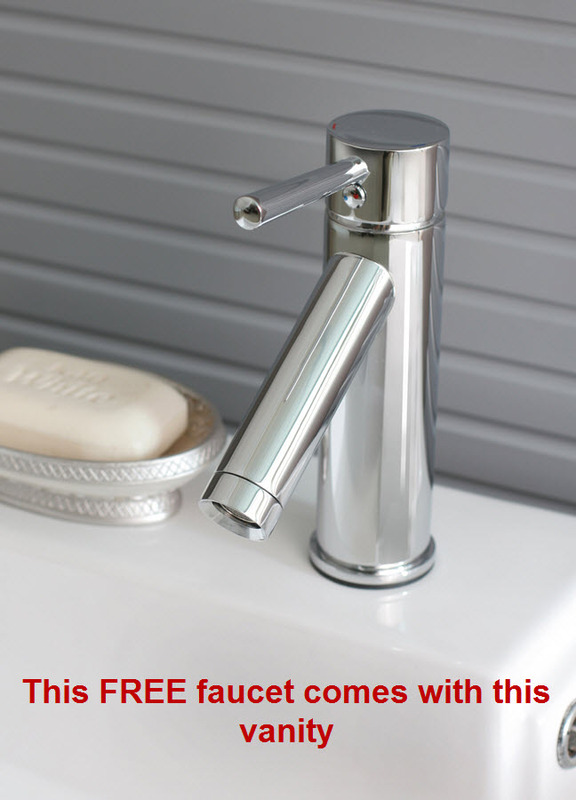 The Felice is a testament to art in the smallest form possible, yet versatility and use in the largest possible way. 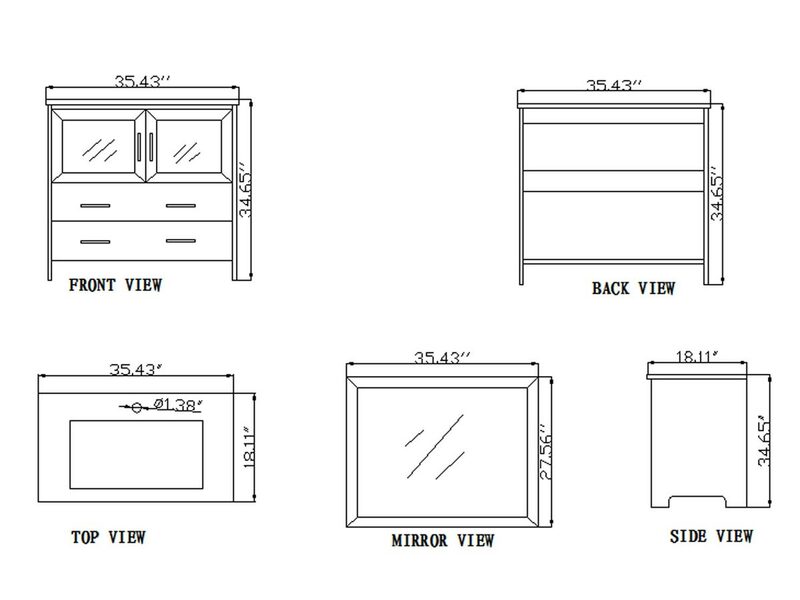 Tempered glass inserts add character and beauty to each cabinet door, showing what shapes hide behind the doors yet not revealing enough to show the specifics. 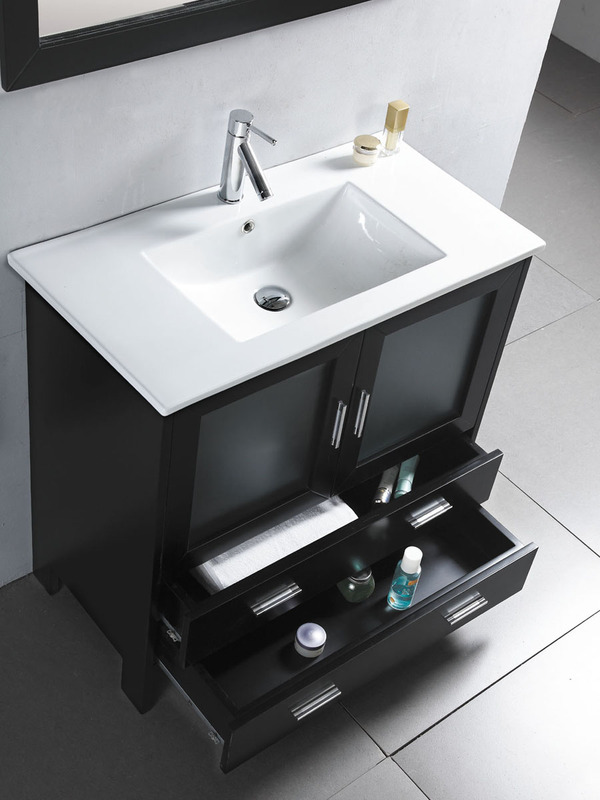 This vanity is idea for modern bathrooms.